NEW YORK – Matthew Stafford’s mission is daunting: Lead the Detroit Lions back from the only 0-16 season in NFL history. 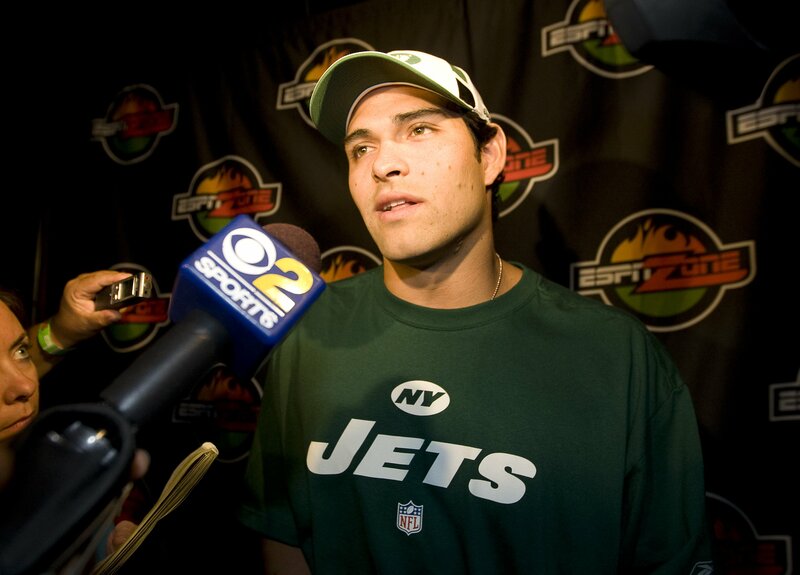 Mark Sanchez has nearly as big a challenge: He’ll compete to replace Brett Favre. Then the New York Jets rocked Radio City Music Hall by trading with Cleveland – and of all people, Eric Mangini, whom they fired as coach in January – for the fifth overall spot. The Jets took the other premier quarterback in the draft, Sanchez of Southern California. Nine of the last 12 top overall picks have been quarterbacks. They have included the likes of Peyton and Eli Manning, but also Tim Couch, David Carr and Alex Smith. Sanchez started for just one season at USC, leading the Trojans to a 12-1 record and a Rose Bowl victory. He had 16 career starts in college, and will compete for the job of replacing Favre as the Jets’ QB. Another tackle, Virginia’s Eugene Monroe, went eighth overall to Jacksonville, one spot after Oakland – no surprise here – was seduced by the speed of Maryland’s Darrius Heyward-Bey. The Raiders grabbed the player who had the fast 40-yard time in workouts, even though many projected him to go far later. Other noteworthy picks in the opening round included Georgia running back Knowshon Moreno, 12th to Denver; Southern California linebackers Brian Cushing (15th to Houston) and Clay Matthews (26th to Green Bay); Kansas State quarterback Josh Freeman (17th to Tampa Bay); RB Donald Brown, the nation’s leading rusher with 2.083 yards and the first UConn player selected in the first round, No. 27 to Indianapolis; and WR Kenny Britt (No. 30 to Tennessee), the first Rutgers player to go in the opening round. Not even Stafford nor Sanchez faces that big a challenge.